Despite the glorious story of Texas winning its independence from Mexico in that eighteen-minute battle at San Jacinto on April 21, 1836, the new republic remained embroiled in a series of political, economic, and military struggles. The Black Bean Episode was the culmination of all those forces coming together for a grand failure. Although Santa Anna lost the war for Texas Independence, he regained favor with the Mexican people in 1838 and won the presidency. (Watch this site next week for a review of Santa Anna and his amazing ability to return to power.) One of Santa Anna’s generals sent a warning to Texans in January 1842 of an impending attack if they continued insisting on their independence. The following March, Mexican troops invaded Goliad, Refugio, and Victoria. By the time they reached San Antonio, the frightened populace had abandoned the city. 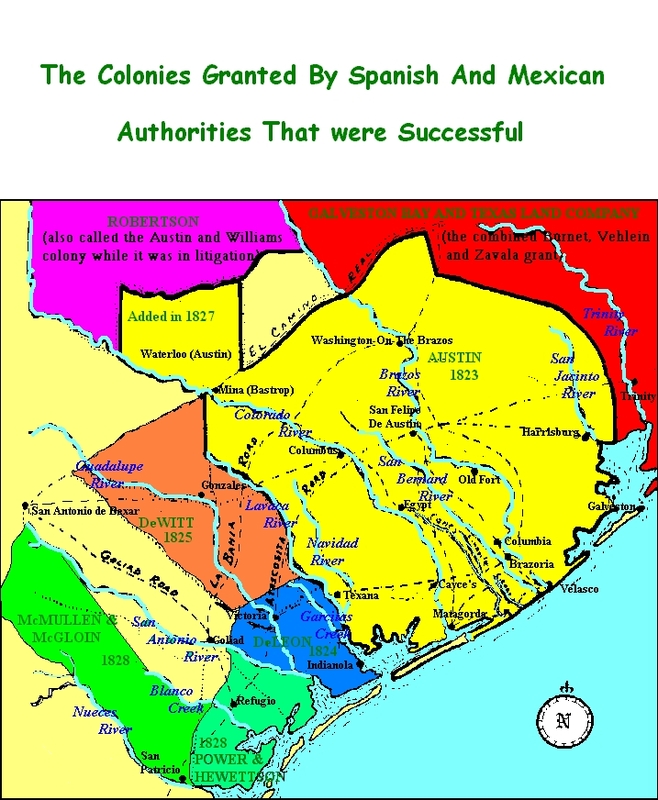 The Mexicans withdrew, but they left the settlements along the western edge of Texas in panic, demanding that President Sam Houston send an army into Mexico to halt the attacks. 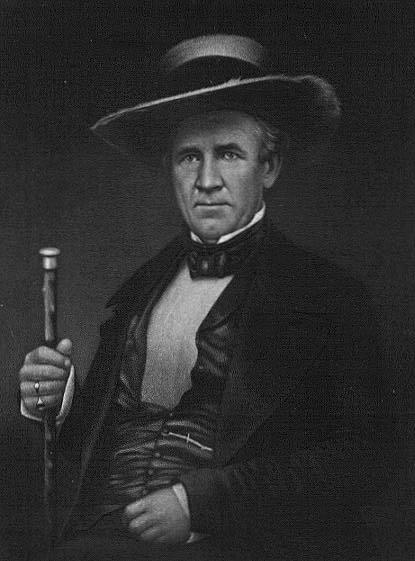 Sam Houston, anxious to avoid another war and work instead toward building a strong republic, understood the political challenges and reluctantly made appeals to the United States for money and volunteers in preparation for an invasion of Mexico. The needed assistance from the United States never arrived. 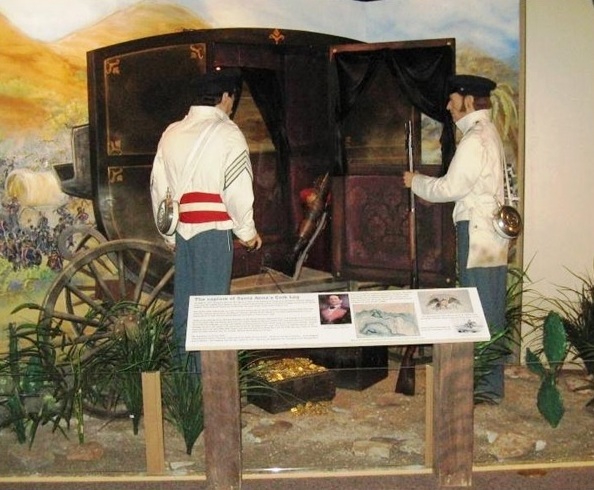 On September 11, 1842, Gen. Adrián Woll, with 1,200 Mexican troops, captured San Antonio. Texans gathered at nearby Salado Creek to drive out the raiders, and while they were making headway in a pitched battle, less than two miles away a disaster was taking place. When word had spread of the need for Texan support at San Antonio, Capt. Nicholas M. Dawson had raised a company of fifty-three men from the La Grange area. On September 18, Dawson’s men rushed headlong into battle with Mexican cavalry patrols only to be overpowered by a column of 500, reinforced by two cannons. When the cavalry pulled back and opened fire with the cannons, Dawson’s men were completely overpowered. Despite trying to surrender, survivors claimed the Mexicans continued firing. 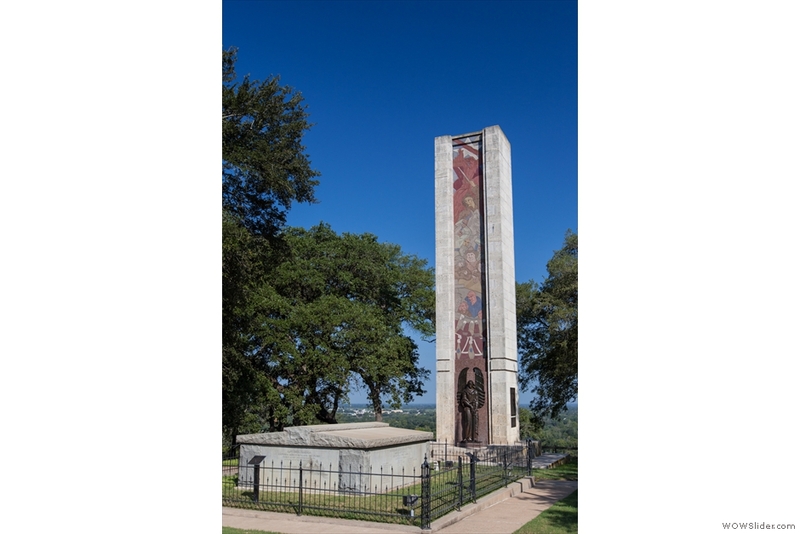 By the time the fight ended in late afternoon, thirty-six Texans were dead, fifteen were taken prisoner, and two escaped. The dead were buried where they fell among the mesquite trees. The survivors were marched to Perote Prison near Mexico City and only nine finally returned to Texas. After what became known as the Dawson Massacre, Sam Houston finally called on Alexander Somervell, a customs officer from Matagorda Island, to organize a volunteer militia to punish the Mexican Army for the attacks. Somerville raised a force of 700 young men who were eager for revenge, for adventure, and for plunder. The expedition left San Antonio at the end of November 1842 and captured Laredo on December 7. 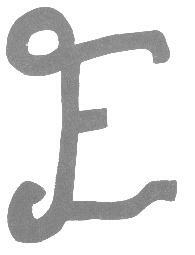 Finding a town with little wealth to plunder, the men ransacked Laredo. Somerville, who had not been especially eager for the expedition, realized he was losing control of his command, and that they would be facing a much better trained and stronger Mexican Army as they marched south. On December 19, he ordered his men to disband and head home. A group of 308 Texans, including five captains, ignored Somerville’s command and under the leadership of William S. Fisher, continued their march down the Rio Grande. Crossing the river to Ciudad Mier, the Texans battled all Christmas Day and into the night against a much larger Mexican force before finally surrendering. 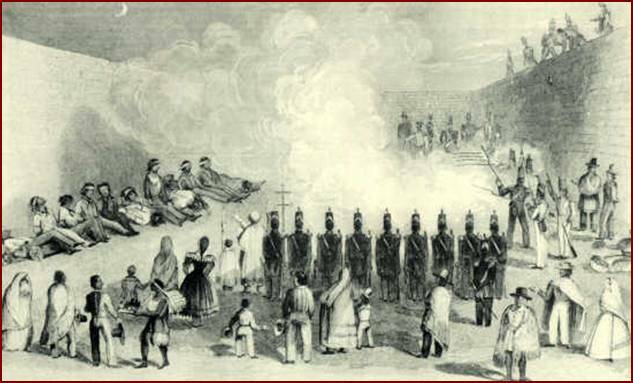 As captives, the Texans began the long march south toward prison in Mexico City. On February 11, 1843, the Texans overpowered their guards and in an effort to avoid capture fled into the arid mountains of Mexico, only to suffer for six days without food and water. When the Mexican troops rounded up the starving Texans, orders came from an infuriated Santa Anna to execute each of the 176 captives. It is unclear how Santa Anna was convinced to change his mind and decree instead that one in every ten should be executed. “The Drawing of the Black Bean” by Frederic Remington. Those who drew Black Beans faced a firing squad. alphabetical order. 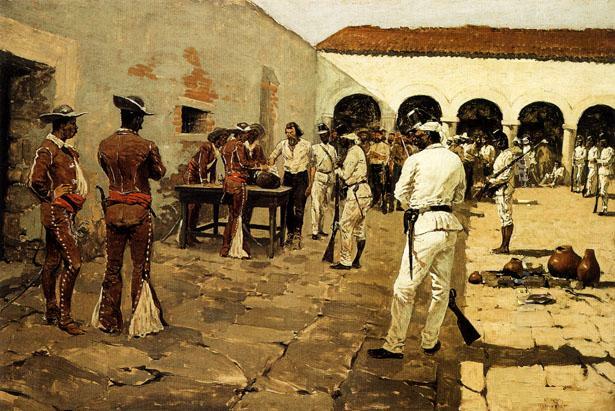 The seventeen men who held black beans were executed before a firing squad. The other prisoners eventually reached Perote Prison outside Mexico City. Over time, some escaped, others had family and friends who arranged their release, and some died of illness and starvation. Finally, on September 16, 1844, Santa Anna ordered the release of the remaining 104 Texas prisoners. In 1847, while the United States Army occupied northeastern Mexico during the Mexican-American War, Captain John E. Dusenbury who had drawn a white bean, returned to the burial site of his comrades who had drawn black beans. He exhumed the remains and carried them by ship to Galveston and then by wagon to La Grange. The citizens of La Grange retrieved the remains of those who had died in the Dawson Massacre and reinterred all the fallen in a common tomb housed in a cement vault on a high bluff overlooking La Grange. Today, the gravesite is part of the Monument Hill and Kreische Brewery State Historic Sites. Monument to the fallen in the Dawson Massacre and the Black Bean Episode. 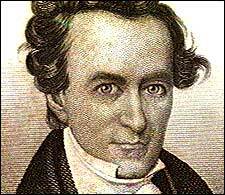 Stephen F. Austin fits the image of a reluctant father. He came to Spanish Texas in response to his own father Moses Austin’s deathbed wish for Stephen to continue with Moses’ dream of settling 300 families in Texas. 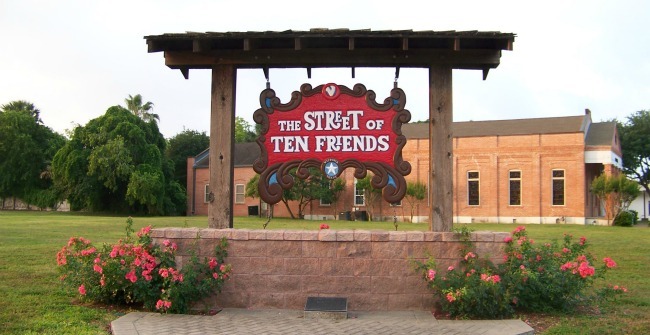 Like many apprehensive fathers, Stephen F. Austin embraced his responsibilities and spent the remainder of his life lovingly guiding his colony and all of Texas toward the best opportunity for success. Austin understood and admired the adventurous, hard-working settlers willing to move to a wilderness and carve out a new life because he grew up around the French Canadian, Spanish, and American mine workers in the primitive, lead mining towns his father founded in western Virginia and Spanish Louisiana (present Southeast Missouri). Unlike Moses Austin whose quick temper and need to challenge those with whom he disagreed, Stephen embraced patience, tact, willingness to compromise, and the diplomacy necessary to work with the independent-minded settlers and the tangles of Spanish and Mexican government bureaucracy. The first test of Austin’s diplomatic prowess came in December 1821—the first settlers were already arriving—when Mexican authorities refused to approve Austin’s Spanish land grant. Austin left immediately for Mexico City, and after patient negotiation, the Mexican government established a new empresarial policy offering each married man a league of land (4,428 acres) and opened colonization to several more empresarios, agents like Austin who received permission to bring settlers into Texas. The law denied empresarios the right to charge administrative fees, providing instead 67,000 acres for settling each 200 families. However, empresarios received their land only after settling all the families. Selling the land proved difficult since colonists were getting free land. Dealing with the Mexican government required constant compromise. The slavery issue presented a continuing challenge since most settlers came from slave-holding states and the original colonization law allowed them to bring their chattel into Texas. When the new constitution of the state of Coahuila and Texas prohibited slave importation, an uproar spread through the colony. Austin’s personal beliefs (he owned a slave woman he described as old and not worth anything) seemed to shift. As with other issues he felt represented the best interest of the colonists, he negotiated a scheme allowing settlers to free their slaves at the Texas border and make them indentured servants for an indefinite time. Recognizing the plight of many colonists who came to Texas without paying their debts in the United State, Austin secured a law closing the courts for twelve years to debt collectors and permanently exempting land, tools, and implements used in business and farming from creditors—an early version of the homestead exemption law. Despite Austin’s efforts to ease tensions between the differing cultures and remain aloof from Mexican government intrigues by encouraging the colonists to “play the turtle, head and feet within our own shells,” outside forces kept Mexican officials on the defensive. Several offers from President Andrew Jackson for the United States to buy Texas resulted in an 1830 law halting further colonization by settlers from the United States. Austin wrangled an exemption for his and for Green DeWitt’s colony, and by the next year succeeded in getting the law repealed. 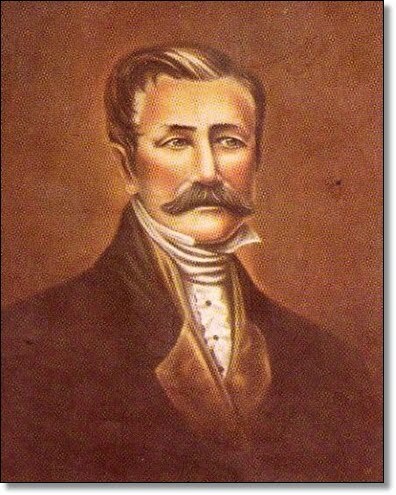 However, when Haden Edwards, in an effort to win Texas independence from Mexico tried to drag Austin’s beloved colonists into the Fredonian Rebellion, Austin sent a militia to put down the revolt to save his settlers from the wrath of the Mexican government. The colonists’ dissatisfaction with Mexican President Anastacio Bustamente’s heavy-handed immigration controls and introduction of tariffs finally led to Austin joining the colonists in supporting Antonio López de Santa Anna in Mexican presidential elections. Santa Anna soon proved not to be the liberal leader of his campaign, but a dictator who clamped down on the increasingly independent-minded colonists. Austin did not favor the conventions held in 1832 and 1833 to express Texan grievances, and believed they would not serve the colonists’ best interests, but he attended each event hoping to moderate the actions of the increasingly dissatisfied settlers. Despite his efforts to temper the resolutions, the delegates, even those who disagreed with Austin, recognized his influence with the Mexican authorities, and elected him to present their petitions to the government in Mexico City. Austin’s negotiations resulted in important reforms, but as he headed back to Texas, Santa Anna ordered him arrested and held until July 1835—an absence from Texas of twenty-eight months. Without Austin’s calming presence, the war clouds in Texas grew beyond his control; strong factions organized a consultation to begin the process of declaring independence. The consultation delegates selected Austin and two other men as emissaries to the United States to solicit loans and volunteers and arrange credit for munitions and other equipment, including warships. They also charged the men with getting a commitment of recognition of Texas independence and eventual annexation to the United States. By the time Austin returned to Texas in June 1836, the celebrated Battle of San Jacinto on April 21 had decisively won Texas war for independence from Mexico. Austin “offered his services” as president of the republic in the September election, but it was not to be. Sam Houston, the man who marched across Texas with the army, the flamboyant general who led the troops in the winning Battle of San Jacinto, won the contest. President Houston appointed the quiet and unassuming Austin to the office for which he was well suited—Secretary of State. Despite failing health and no money to heat his tiny office and living quarters, Austin worked diligently to set up the state department of the new Republic of Texas.